The Division Bench of the Delhi High Court on Wednesday delivered a split verdict on the issue of disclosure of donor details in the Prime Minister's National Relief Fund (PMNRF) under the Right to Information Act, 2005. "Whether the Prime Minister's National Relief Fund is a "public authority" within the meaning of Section 2(h)(d) of the Right to Information Act, 2005 and accordingly, whether information pertaining to various transactions made by the Fund can be obtained by preferring an application under the said Act?" The original applicant, Mr. Aseem Takyar had been denied information relating to the amount, name and particulars of each recipient, beneficiary and donor to the PMNRF for the period demanded by him. The CPIO had invoked the exemption under Section 8(1)(j) (personal information which may violate privacy of an individual) of the RTI Act for the same. The CIC had, however, ruled in Mr. Takyar's favor and had directed PMNRF to place the details of its institutional donors in public domain. The Court was now hearing a challenge to this decision. (a) Whether PMNRF is a "public authority" as defined under Section 2(h) of the RTI Act? (b) Whether the information sought by the Respondent, insofar as it relates to the amount, name and particular of each recipient, beneficiary and donor, could be placed in public domain? He noted that PMNRF came into being through a press note issued in January, 1948, and was allowed to be registered as a trust for the purposes of Income Tax exemption in 1973. He then opined that while the Fund was not a "public authority" as prescribed under Section 2(h) of the Act, it was to be seen whether it could be "said to be a public authority". "This court is of the opinion that directions of the Prime Minister inviting contributions and setting up a Committee comprising of the Prime Minister himself along with the Deputy Prime Minister, Finance Minister and other important highest state functionaries as "Managers" of PMNRF cannot be deemed to be or be considered as actions in a personal capacity. Those actions are meant to considered to be actions of the Government which the Prime Minster represents. Further, registration of PMNRF as a Trust for the purposes of income tax exemption, obtaining of Permanent Account Number (PAN) of the said fund and entrusting the management of the fund qualify as an "order made by the appropriate government". Therefore, PMNRF must be deemed to be a "public authority" within the meaning of Section 2(h)(d) of the RTI Act." Justice Bhat further opined that the term "public authority" must be given a liberal interpretation under the Act. Besides, he also justified the conclusion by taking recourse to sub-clause (i) of Section 2(h)(d) of the Act, which includes within the definition a "body owned, controlled or substantially financed" by the appropriate government. He then ruled that even though the PMNRF does not receive funding from the Central or State Governments, there existed governmental control in the management of PMNRF, and hence, the requirements of Section 2(h)(d)(i) were also fulfilled, bolstering his conclusion. As for the second issue, Justice Bhat opined that the citizens have the right to know about the management of a fund which is used for benign purposes, inter alia, like providing relief in times of natural disasters. The disclosure, he therefore, ruled, does serve a public purpose, as it would ensure that voluntary donations by the citizens are not appropriated by government officials. He further dismissed contentions of invasion of privacy of such donors, observing, "... once the fund is already disbursed to a beneficiary, the disbursement becomes a matter of „public record‟. Once the Prime Minister exercises his or her exclusive right to determine the beneficiaries or class of beneficiaries, the confidential relationship which may have existed comes to an end. Therefore, once something becomes a matter of 'public record', the right of privacy ceases to exist." "The cause for which appellant-Trust was created and exists is purely charitable and neither the funds of this Trust are used for any Government projects nor is this Trust governed by any of the Government policies. So, how can this Trust be labeled as 'Public Authority'. Thus, I am of the considered view that appellant-Trust does not owe its genesis to a decision or function of Appropriate Government and Funds of appellant Trust do not have any government character as no guidelines can be laid down for disbursement of the amount from the Funds of appellant-Trust and the contributions made to appellant-Trust enjoy exemption under Income-Tax Act like other private Trusts." 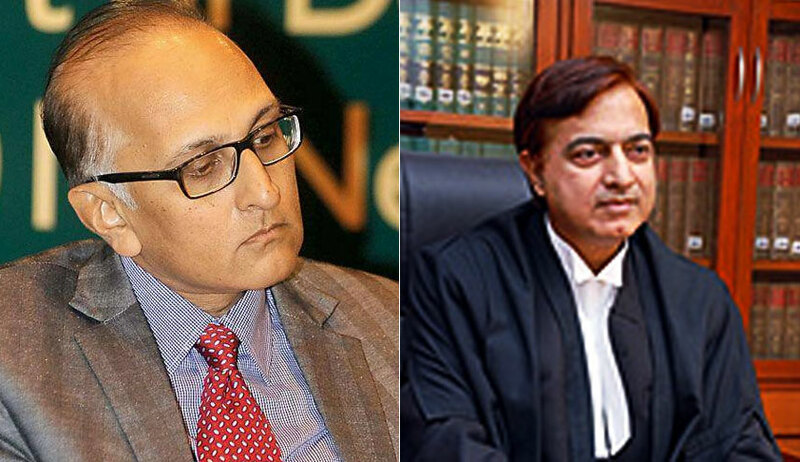 He therefore disagreed with Justice Bhat's opinion and set aside the impugned CIC order.